Maps can be both beautiful and practical. Both maps in today’s chapter are fine examples of both qualities. We begin with a map by an unaccredited cartographer. The map of the #CountyofForfar was published by #RobertSayer & John Bennett. Sayer and Bennett began trading in 1774 although their formal partnership was recognised in 1777. It ended in 1784 when Bennett suffered from a mental collapse. Robert Sayer began selling prints in 1748 and grew his business by taking over other printers and publishers. Sayers bought the businesses of Philip Overton, Herman Moll, John Senex, John Rocque, Thomas Jefferys, and Henry Overton. This would have made him a force to contend with as a print maker and map seller. He would have employed a great number of etchers and engravers all working under his direction. 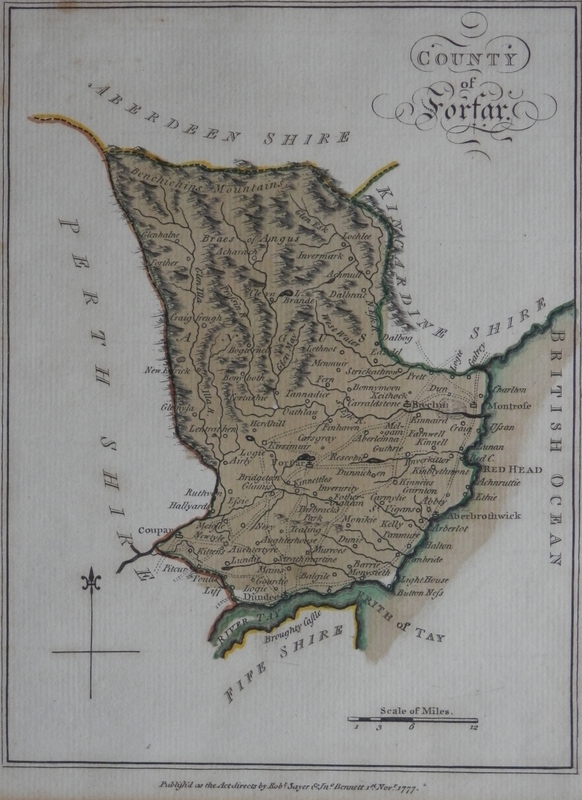 Forfarshire is the official name of the historical county of Angus. This hand-coloured map is a fine example of early cartographic publishing. I love the description of the body of water on the right hand side as the ‘British Ocean’. 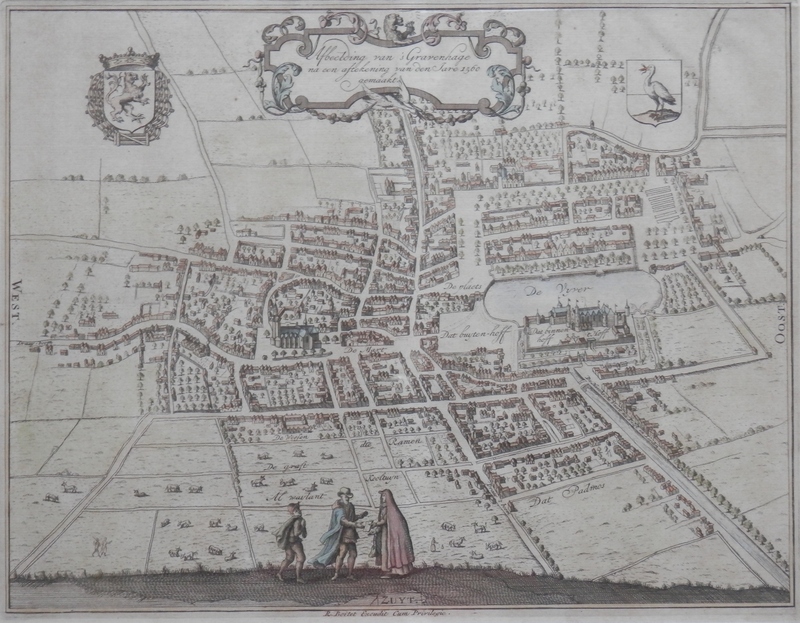 An attractive map of The Hague by Jacob Reimer (1676-1762) published in Delft by #ReinierBoitet around 1730. Perspective view maps, as this is, display important buildings, churches, monasteries, manors and castles. They also often contain scenes of local interest and importance as well as coats of arms of important local families. Two maps illustrated with precision and accuracy and yet decoratively appealing to the eye. They really do make you want to look at them and study them. This entry was posted in Etching, Printing and tagged Forfar, map, perspective view, Robert Sayer, Scotland, The Hague. Bookmark the permalink.